My order for the Hermes print, a couple of chromos and a few prayer cards arrived and I couldn't be more pleased! The picture online doesn't do this print justice. I have Hermes above my Hekate altar and its like he has been there all along. I look forward to working with him through this image for many years to come. Thank you for your wonderful work! i just would like to say !!! 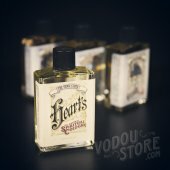 that you guys did a great job packaging my items , the colognes smell really well , the candles spell kit , was package very neatly , the wait was worth the while , thnk You guys so much i will be back to purchase more , even though you guys take forever !!! i will still wait . just not to long cause im addict to voodoo , its like a drug i gotta have my stuff . I ordered a Hermes prayer card and I instantly fell in love when I received it. Absolutely great quality and the art is very beautiful. A wonderful addition to my altar. Thank you so much. I most definitely will be back. 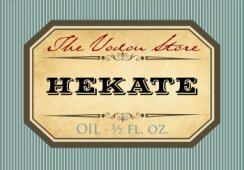 I received my Hekate oil, High John the Conqueror roots, and the Hekate booklet today. Not only did this order come promptly, I was very impressed with the oil, immediately. Even before I opened it to smell, it had a very powerful feel. I opened it, and was amazed. Perfect. This will be a most fitting tribute to Her, and I plan on using it for Hekate's Night November 16th. Thank you so much! I will definitely be a returning shopper.